Pigging out with Grumpy ~ Journal of a dreamer. Grumpy said that he had gotten the Employee of the Quarter award, hence after work yesterday, we decided head out for dinner. We were not very sure about what we wanted to eat, but it so happened that we decided to alight at Somerset. 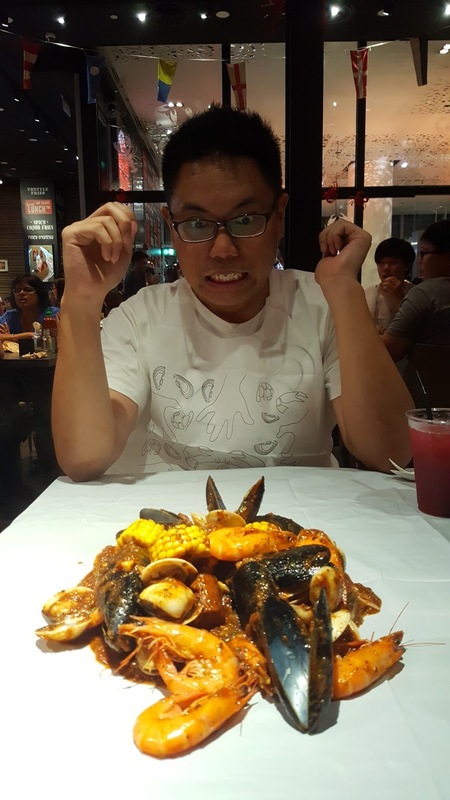 I had casually mentioned before that I wanted to eat at Dancing Crab, and Grumps wanted to try out this restaurant as well, hence we decided to join the already-snaking queue. Thankfully, we only waited for about 20 minutes before we were shown to our seats inside. We decided to go with a seafood bag, which contained so much fresh seafood!! A must-order! 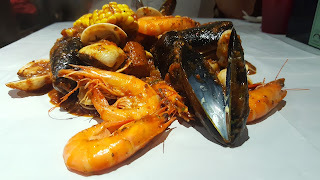 I especially loved the prawns omoooooo. The lobster rolls which were highly recommended by a certain food blog to try. 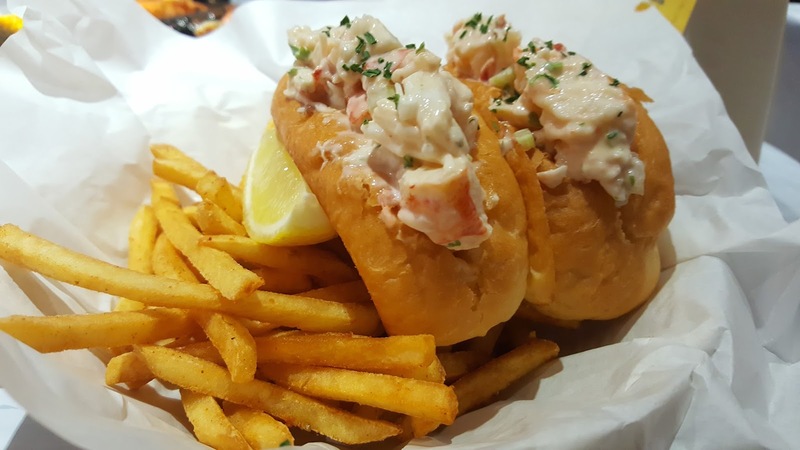 It was my first time having a lobster roll, and I thought it was OK only. ;/ I found the seafood bag to be more worth its money. This meal was supposed to be Grumpy's celebration dinner, but he insisted on paying for dinner and I felt really bad, so I suggested going downstairs to have some matcha desserts at Maccha House. Grumpy initially refused, claiming that he was too full to move LOL, but I had my way in the end. xD Our total bill came up to be around $22 after tax and service charge, which I thought was quite pricey though, even if the desserts we had were good. 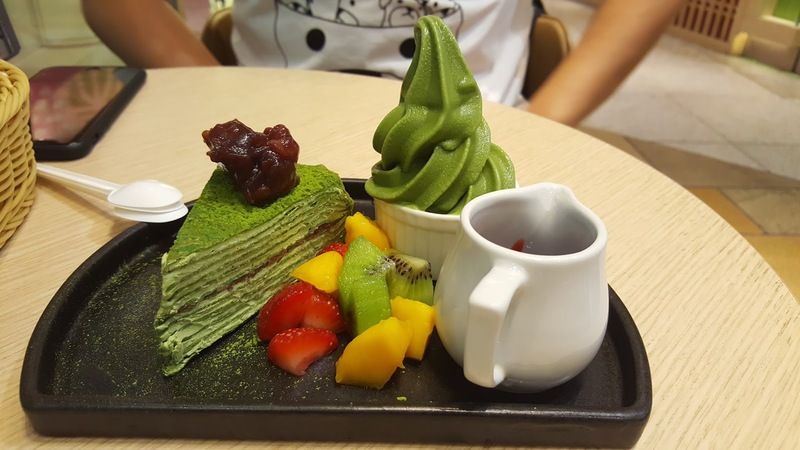 Our matcha mille crepe with matcha softserve. 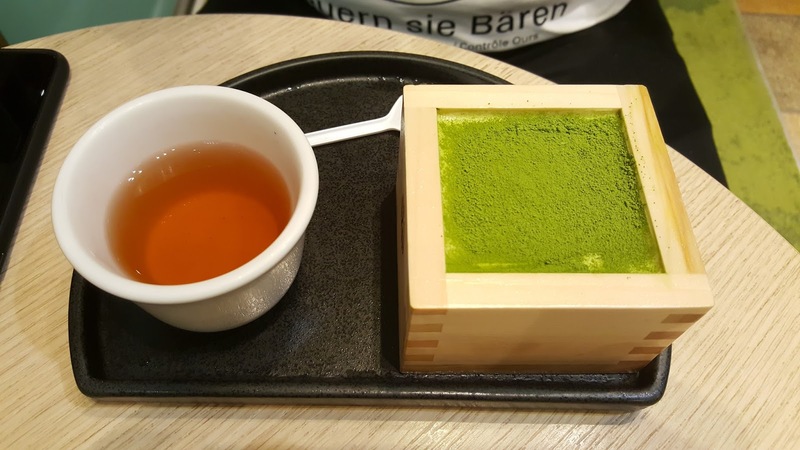 This was the famous matcha tiramisu, and omg it was so damn goooooood. I'd gladly pay to have this again!! We spent quite a big of money today, but haha, once in awhile is still alright I guess?